“I’m still swallowing my frogs!” an old client exclaimed when I bumped into them the other day. We worked together 3 or 4 years ago, but this nugget was clearly something that had really stayed with him, and more importantly was working well. If you haven’t heard the phrase before, it comes from the book Eat That Frog by Brian Tracy, a top personal effectiveness guru. It is based on an old saying that if the first thing you do each morning is to eat a live frog, you’ll have the satisfaction of knowing that it’s probably the worst thing you’ll do all day. 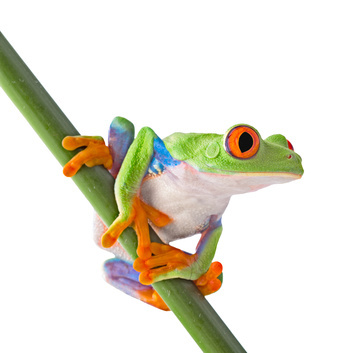 Try using ‘swallow your frogs’ as a way of tackling the most challenging task(s) each day. These are the ones you are most likely to procrastinate on, but also the ones that will help yourself and your business move forward the most. Bumping into that client was very timely for me too. I had been feeling scratchy and irritated about the progress I was making on a project. I realised the scratchiness was coming from my procrastination on a specific part of the project. It was a frog that was jumping around, annoying me, but not being swallowed. It has now been swallowed, progress has been made and the scratchiness has gone. What is the main ‘frog’ you have been avoiding swallowing? When will you swallow it and get it done? What can you do from now on to swallow your frogs earlier in the day, every day? How can you stop yourself from falling back into old procrastinating habits? How can you recognise when you are procrastinating?, take for example my feeling of scratchiness. Good luck and let me know how you get on, and how many frogs you manage to swallow by the end of this week!